Kim Komljanec is a playwright, dramaturge and theatre director. After a degree in French and Slovenian languages and literature from the University of Ljubljana, Slovenia, she was awarded an MA in playwriting and script development from the University of Exeter, UK in 2010. Kim has had numerous plays produced by both fringe and big repertory theatres in Slovenia, as well as several of her short plays staged in the UK. She also had three radio plays produced by the Slovenian National Radio. She was a resident international playwright with the Royal Court Theatre and has had a full-length play staged in the USA. 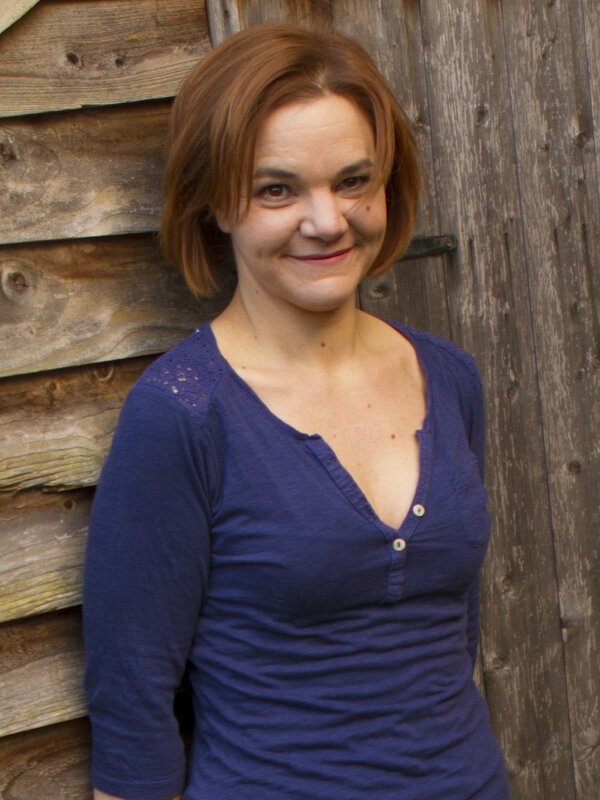 Kim writes in both English and Slovenian languages and currently lives in Cambridge (UK) where she joined a scriptwriting forum called WRiTEON in 2013 and soon got involved as a writer, actor, director, committee member and workshop leader until taking over as chair in 2016 and later becoming Artistic Director. In Slovenia, Kim founded an independent theatre company Zavod Zofka to allow her and her closest artistic collaborators to put on plays for children and adult audiences. Kim continues to work with theatres of all shapes and sizes in both, the UK and in Slovenia. She also runs workshops for playwrights, actors, drama teachers and directors and takes every opportunity to further her education in all areas of theatre by attending workshops and masterclasses or by meeting and working with playwrights and theatre makers from all over the world via her involvement with the international playwrights’ network The Fence or the network of theatre translators Eurodram.